Spectacularly windswept and beautiful Mull is the largest and most populous island in the Inner Hebrides, yet still a place of peace and natural wonders. 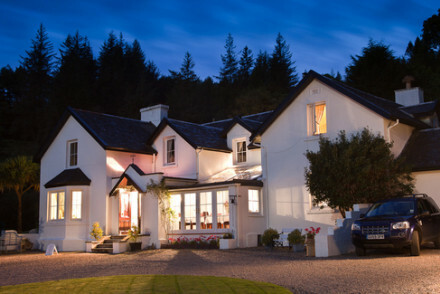 The best places to stay on Mull can be found dotted around the island. There are cliffs, craggy basalt mountains, and sandy beaches, and the surrounding seas are home to whales and wonderful sea birds. 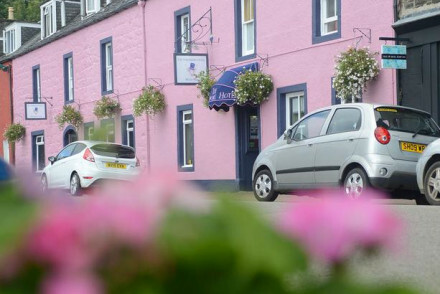 Go for pretty Tobermory - one of the best places to stay on Mull for fisher-folk and sailors, or the island’s north where there are spectacular coastal views, or South Mull, which is one of the best places to stay if you’re looking for a real escape. Hop on a boat and take a tour of the dramatic Isle of Staffa and Fingal's cave. The towering basalt columns are a natural phenomenon and visitors are often get up close to native wildlife. Enjoy a tour and tipple of a local specialty at Tobermory Distilery. Visitors can learn about the whisky-making process and participate in a tasting if they wish. Learn about the island's history at the Mull Museum with a range of interesting exhibits and memorabilia ensuring that there is plenty to see and discover. 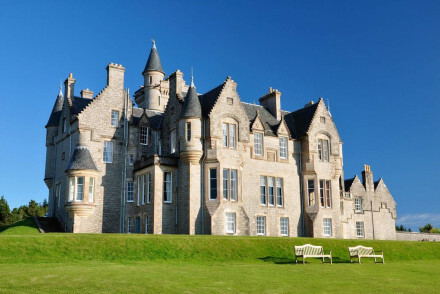 Step back in history with a visit to Duart Castle, formidably overlooking Mull's sea cliffs. The castle contains 800 years of history of one of Scotland's oldest clans and includes everything from eerie dungeons to grand banquet halls. Keep a sharp eye out on the Mull Eagle Watch with a ranger-led visit to see the largest and most impressive bird of prey in Britain. Our selection of the best places to stay in Mull fill up pretty quickly, especially in the peak summer months so book soon to avoid missing your ideal property. Tiroran House is a wonderful choice if you’re looking for an escape - there are just ten rooms and you’re surrounded by 17 acres of unspoiled Scottish country views. The rooms offer classic luxury and the hotel has been voted the ‘Best Country House Hotel in Scotland’ two years in a row. Fairytale-like Glengorm Castle is located a short distance from Tobermory, the Isle of Mull's capital. 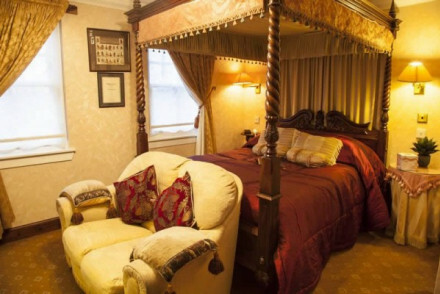 Offers five charming individually-decorated rooms complete with en suite bathrooms. Relax with a book by the fire and enjoy the traditional furnishings. Great breakfasts. A lovely stay in a gorgeous spot! 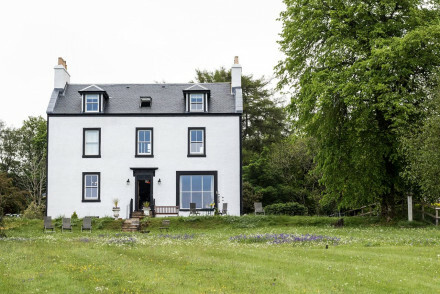 Highland Cottage in Tobermory is a six room, Edwardian house conversion, with lovely attention to detail in the decor of the rooms, and also in the cosy living room and formal dining room. If you'd prefer a self-catering option this holiday, don't hesitate to visit our online partner Booking.com for a range of quaint properties ideal as bases for exploring the island. Fly to Glasgow Airport located 185km (115 miles) from the Isle of Mull. Visitors can then catch a flight to one of the smaller neighbouring island airports if they wish, along with links to international destinations further afield. If you want to catch a train to Mull, you'll have to ride the train to Oban. Or hop on a ferry to Mull with ferry links to the islands and the mainland. Best time to visit - from June to early September provides the warmest weather for enjoying the plethora of outdoor sights on Mull. Overlooking Tobermory harbour, The Tobermory Hotel has been running since 1869. With a distinctive pink facade the hotel offers excellent rooms, an atmospheric bar and delicious local cuisine in the restaurant. A great base from which to explore the charms of Mull. Fishing - Fishing trips - both sea and loch - can be arranged by the hotel. Great walks - Go out to Calgary for a lovely walk along the beach. 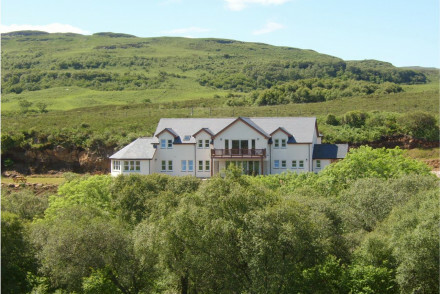 Killoran House is an excellent B&B in the northern area of Mull, a rural location with great views. Featuring comfortable rooms, pretty furnishings and a restaurant with wonderful food. It's a great base from which to explore the surrounding area. Local exploring - A great base for exploring the Northern reaches of Mull. Great walks - The surrounding area is full of great walking routes. Fishing - Go trout fishing on nearby Loch Frisa. Tranquility prevails at the Pennygate Lodge, a charming B&B in the village of Craignure. The rooms are elegant and comfortable with deluxe ensuite bathrooms. Start your day with an excellent breakfast before heading off to explore the charms of Mull. Great walks - The area surrounding Craignure is full of lovely walking routes. Fishing - The hotel can organise sea fishing trips for guests. Sights nearby - Take a trip to nearby Dunstaffnage Castle. Glengorm Castle is located a short distance from Tobermory, the Isle of Mull's capital. It offers five charming individually-decorated rooms complete with en suite bathrooms. Public rooms are filled with antiques and all have roaring fires. Families are very welcome. A stunning home from home.